Old-fashioned isometric PC role-playing games have had somewhat of a resurgence as of late. In many cases, they’ve made the mighty jump from PC to console rather successfully too. 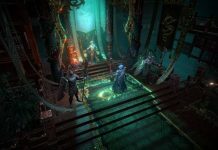 In all honestly, it doesn’t feel that long ago since I reviewed the solid Torment: Tides of Numera, but now there’s another text-heavy RPG on the scene vying for your time, Pillars of Eternity, and with it comes all of its DLC to well and truly seal the deal. 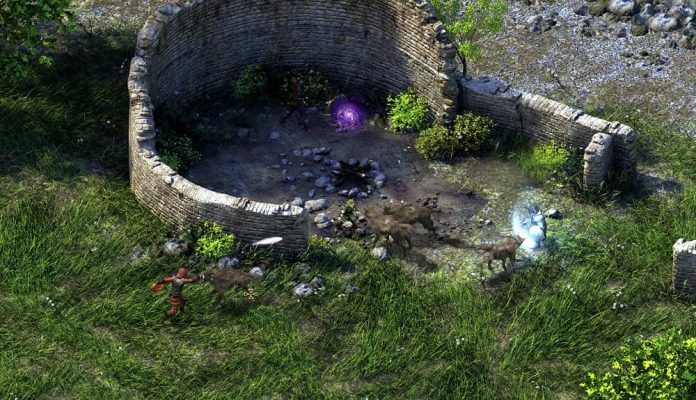 Gameplay-wise, Pillars of Eternity doesn’t really do anything out of the ordinary. 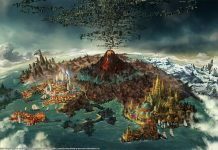 You create a character using the game’s exhaustive character creation options – choosing their race, class, attributes, background and so on – before being unleashed in a world that feels unapoligetically hostile from the get-go. It’s your standard RPG fare, but Pillars of Eternity pulls it off so well that you’ll be hooked from the outset. 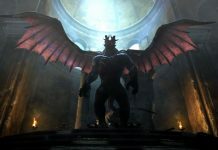 There are countless areas to explore, quests to complete and characters to interact with. You’ll meet many weird and wonderful individuals that may choose to accompany you on your journey, lending a helping hand while your priorities align. In fact, there are so many options and things to do that everybody’s experience with Pillars of Eternity is likely to differ in some way. You’ll talk with friends who are also playing the game, seeing how they dealt with certain problems while probing them for information about things you might have missed. It’s just wonderfully expansive. What ties Pillars of Eternity together is a combination of great writing, rewarding character development and nail-biting combat. While there are the odd flourishes of voice acting, for the most part you’ll be reading the interactions between its eclectic cast of characters, selecting dialogue options as you go. Often you’ll be afforded extra dialogue options should you have the correct skills, allowing you to swing things in your favour by words rather than force. Pillars of Eternity gives you great deal of freedom and choice, and it’s up to you to use it wisely. When talking isn’t an option to resolve a conflict, which is more often than not when out in the field, you’ll be relieved to hear that combat works well on console. 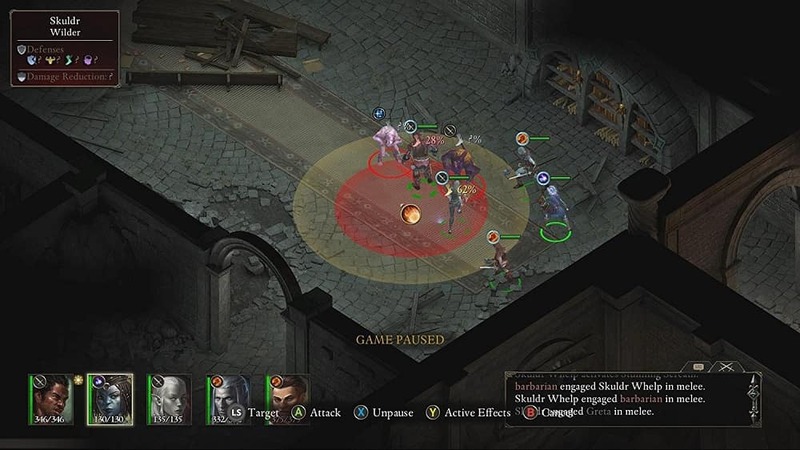 By default, Pillars of Eternity auto-pauses when battle commences, giving you the chance to assign orders to your party before being overwhelmed. You can command them all at once if you’d like, but those wanting more control over the battle can make use of the shoulder buttons to switch between characters and issue them individual commands. 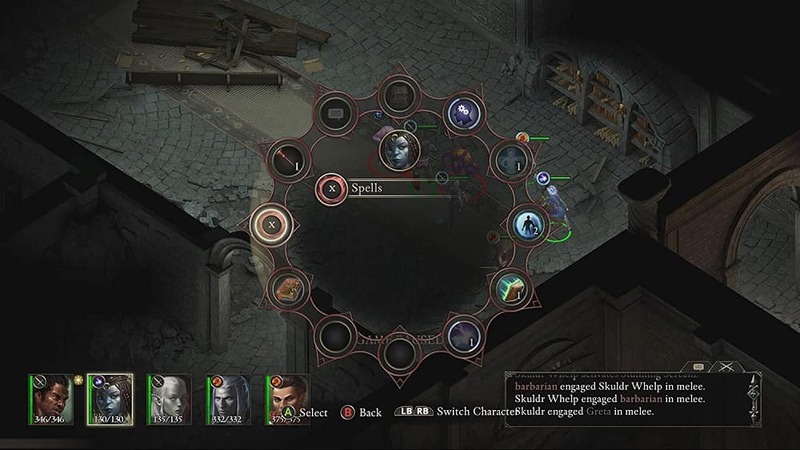 Skills, spells and items assigned to quick item slots can all be easily accessed by opening a radial menu, and you can also switch between two weapon loadouts whenever you please. It all makes for a combat system that’s deep but easy to get to grips with. 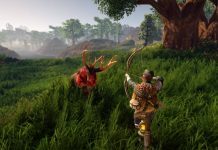 There’s a wide range of difficulty options to ensure that combat never becomes a barrier to you enjoying the story as well, and the ability to slow the game down or speed it up also allows players to fine-tune the gameplay to their liking. Despite Pillars of Eternity‘s expansive world and cavernous depth, the performance of the Xbox One version I tested was solid. Granted, the load times aren’t the quickest, and when viewed in the menus the character models aren’t the most refined, but during the course of normal gameplay Pillars of Eternity looks very nice indeed and rarely hitches or slows down. 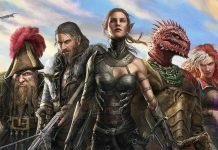 Comprised of the base game and both parts of the White March expansion, Pillars of Eternity: Complete Edition surely offers more than 100 hours of gameplay for those who succumb to its charms. 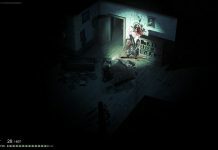 That’s exceptional value for money, and with the writing and gameplay being so interesting and entertaining, it’s easy to get sucked in. It is, without a doubt, the best old-fashioned isometric RPG available on console, so if you have a hankering to get stuck into something you can really sink your teeth into, look no further. Pillars of Eternity: Complete Edition is available on PlayStation 4 and Xbox One. We reviewed the Xbox One version.